Former Speaker of the House Dennis Hastert's old school employer, current House Speaker John Boehner and family member are speaking out after the federal government charged Hastert with allegedly evading banking rules and lying to the FBI. "The Denny I served with worked hard on behalf of his constituents and the country," Boehner said in a statement. "I'm shocked and saddened to learn of these reports." In a statement, U.S. Senator Mark Kirk said anyone who had ever worked with Hastert is "shocked and confused" by the new developments and that the former speaker "should be afforded, like any other American, his day in court to address these very serious accusations." Hastert supported Kirk's campaign for U.S. Senator in 2010. Officials from the Illinois school district that used to employ Hastert as a teacher and wrestling coach said Friday they have no information regarding the alleged misconduct with which Hastert was charged. 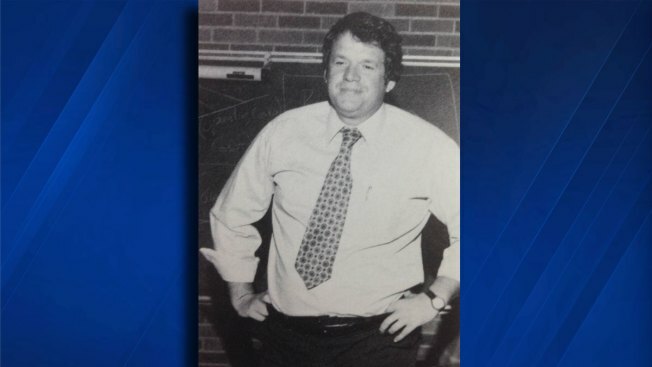 "The District was first made aware of any concerns regarding Mr. Hastert when the federal indictment was released on May 28, 2015," a Yorkville Community Unit School District #115 spokesperson said in a statement to NBC Chicago. "I don't believe it. Denny has always been honest and clean as they come. He is loved by his family and community." Federal charges were handed down Thursday against Hastert, accusing him of evading banking rules and lying to the FBI when asked about them. The Department of Justice and IRS allege the 73-year-old made repeated withdrawals from his accounts and handed the cash over to an unnamed person "to compensate for and conceal his prior misconduct." In its statement, Hastert's former school district said it had no knowledge of the alleged misconduct, nor had anyone come forward to report misconduct. "If requested to do so, the District plans to cooperate fully with the U.S. Attorney's investigation into this matter," the district said. A federal law enforcement official on Friday afternoon told NBC News the misconduct involved an alleged sexual relationship between Hastert and a former male student at the school. 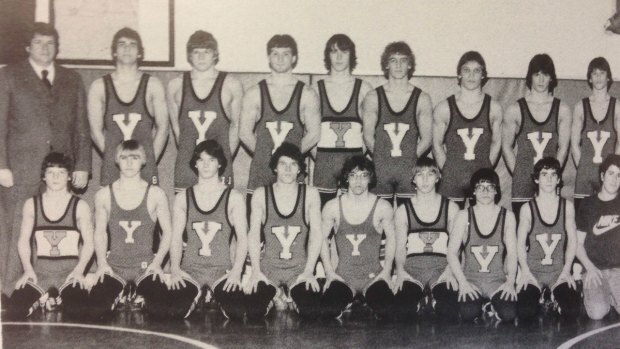 The Yorkville High School wrestling team is seen in this 1981 yearbook photo. Former House Speaker Dennis Hastert (in the suit on the far left) was a teacher and wrestling coach at the school from 1965 to 1981. Hastert's employment with Yorkville Community Unit School District #115 began in 1965 when he was hired to teach history and coach the wrestling team. Eleven years later, Hastert was named Illinois Coach of the Year after leading Yorkville to state wrestling championship. He left the district in 1981, shortly after entering politics. Dennis Hastert's Plano home was quiet Friday, but residents in the small community expressed disbelief about the charges lobbed against the former Speaker of the House.